The seven judges, who were arrested on Friday and Saturday by the Department of State Services, have been released on bail. A source in the DSS, who confided in The PUNCH on Monday evening, said the judges were released on own recognisance on Sunday. The DSS source said, “They were all released on bail yesterday (Sunday) on own recognisance. They reported this morning (Monday) and they have all gone back home. They will be coming back tomorrow (Tuesday); and everything went very procedurally well and civil. “They were released on bail on own recognisance based on the fact that given their standing in the society, they cannot run away. They were instructed that they should come back today (Monday) by 10am. They did report for investigation this morning (Monday morning) and they have gone back home. “The investigation continues and preparation to charge them to court. A top judiciary officer in Abuja, who spoke on condition of anonymity, confirmed that the judges had been released. But calls to the mobile of one of the judges did not go through. Others arrested were the sacked Chief Judge of Enugu State, Justice I. A. Umezulike, and Muazu Pindiga of the Federal High Court, Gombe Division. 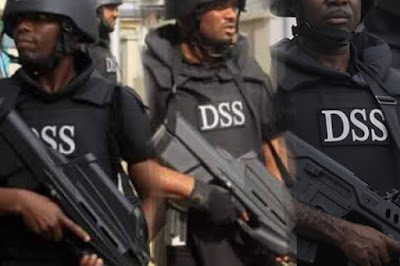 However, the DSS on Monday, intensified its ongoing investigation of two Justices of the Supreme Court and other judges arrested over the weekend after simultaneous raids on their homes. Top sources in the Federal Ministry of Justice confided in one of our correspondents on Monday that the DSS had extended its ongoing probe of the arrested judiciary chiefs to the asset declaration forms they submitted to the Code of Conduct Bureau. The DSS had said it was getting the cooperation of the Federal Ministry of Justice in its ongoing probe of the judges. Credible sources in the ministry, who spoke on condition of anonymity because they were not authorised to speak on the probe, confirmed to The PUNCH that the office of the Attorney-General of the Federation was involved in the ongoing investigation. The sources, one of whom visited the DSS office in Abuja on Monday, said the Service had placed requests for the asset declaration forms submitted by the judges to the CCB. The source added, “As of today, the ministry is still obtaining statements from the judiciary officers. “You will recall that apart from the raw cash recovered from the judges, documents relating to the assets linked to some of the Justices were also recovered from their houses. “So, since it has to do with assets, the DSS thought it wise to place request to the CCB for their asset declaration forms. 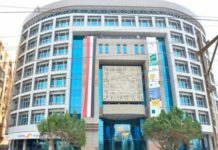 The Head of Protocol and Publicity Unit of the CCB, Mr. Muhammed Idris, could not be reached for his comment on the DSS request to the bureau on Monday. The Chief Justice of Nigeria, Justices of the Supreme Court and those of the Court of Appeal as well as other judicial officers are, under Paragraph II of the Fifth Schedule of the Constitution, expected to declare their assets and liabilities to the CCB periodically. Paragraph 11 of the Part II of the Fifth Schedule to the Constitution reads, “11.—(1) Subject to the provisions of this Constitution, every public officer shall within three months after the coming into force of this Code of Conduct or immediately after taking office and thereafter— (a) at the end of every four years ; and (b) at the end of his term of office, submit to the Code of Conduct Bureau a written declaration of all his properties, assets, and liabilities and those of his unmarried children under the age of eighteen years. “(2) Any statement in such declaration that is found to be false by any authority or person authorised on that behalf to verify it shall be deemed to be a breach of this code. 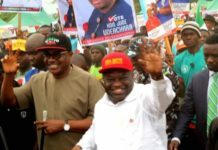 One of our correspondents, on Monday, obtained a copy of the petition sent to the AGF’s office linking Justice Okoro of the Supreme Court to some suspicious properties in his home state of Akwa Ibom. 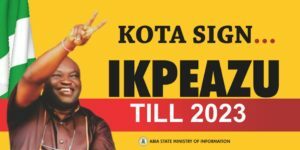 The petition was forwarded by the AGF to the DSS in August. 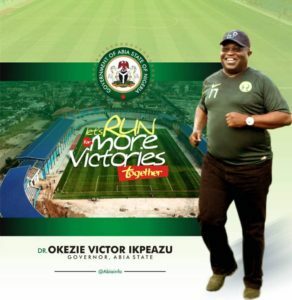 A letter from the AGF’s office to the DSS stated, “Investigation privately carried out by Akwa Ibom activist and legal practitioner, and which he generously availed me, shows that Honourable Justice Okoro has suddenly acquired stupendous wealth, which he has used to develop massive estates in Calabar, Cross River State, and Uyo in Akwa Ibom State, which is inconsistent with his status as a Justice of the Supreme Court. “A maisonette at Plot 6, Unit S-G, Ewet Housing Estate, Uyo, Akwa Ibom State. Meanwhile, there were indications on Monday that the judges might be arraigned before a Magistrate’s Court, Life Camp, Abuja, any moment from now. Journalists and some lawyers, who had anticipated that the detained judges might be arraigned on Monday, converged on the premises of the court at about 11am. But they later dispersed at about 5pm after it was evident that the arraignment would no longer take place. Judges of the Federal High Court in Abuja, whose colleague, Justice Adeniyi Ademola, was among the judges arrested during the weekend, did not sit on Monday. One of the judges confirmed to The PUNCH that they could not sit because they were in bad mood due to the weekend incident. The trial of a former Governor of Imo State, Ikedi Ohakim, that was supposed to come up before Justice Ademola on Monday was stalled. Also, the ongoing trial of the immediate past Chief of Air Staff, Alex Badeh, for money laundering was part of a number of cases that ought to come up before Justice Okon Abang, but could not proceed. The Chief Justice of Nigeria, Justice Mahmud Mohammed, on Monday, described the arrests of judges over the weekend by the operatives of the DSS as sad and regrettable. Justice Mohammed, spoke on Monday at the valedictory court session in honour of a retiring Justice of the Supreme Court, Justice Suleiman Galadima. The CJN said at the event, which held at the ceremonial courtroom of the Supreme Court in Abuja, that the National Judicial Council would meet on Tuesday (today) to take a position on the incident. Apart from the President of the Nigerian Bar Association, Mr. Abubakar Mahmoud, other dignitaries, who usually delivered goodwill messages during such ceremonies, were absent. The AGF and Minister of Justice, Mr. Abubakar Malami, and the representative of the Body of Senior Advocates of Nigeria were among those scheduled to speak at the event but were absent. Justices Ngwuta and Okoro, who were detained after the DSS operatives arrested them early on Saturday, were also absent. The rest of their colleagues, including the CJN and the retiring Justice Galadima, were decked in their ceremonial robes and the seats of the absentee Justices pushed aside and turned against the wall. The CJN, while reacting to the weekend’s incident, commended the NBA for the step that it had taken on the matter. 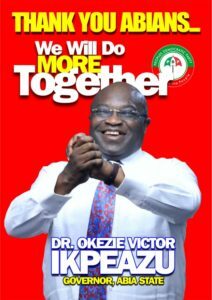 He urged Nigerians to be calm, saying the NJC would meet on Tuesday to review the situation and take a position on it. He said, “My lords, invited guests, ladies and gentlemen, not to detract from this occasion, it is indeed very saddening and deeply regrettable, the distressing and unfortunate incident which occurred on Friday, October 7 and Saturday, October 8, 2016. “However, I must ask all Nigerians to remain calm and prayerful as an emergency meeting of the National Judicial Council, which will take place tomorrow (Tuesday), will comprehensively look into the matter. The NBA President, Mahmoud, also reiterated the association’s call for immediate release of the detained Justices. He said, “Perhaps it may not be out of place if I say a few words on the events that took place two days ago. ‘‘We deem this action illegal and unconstitutional as it is against the independence of the judiciary. Justice Galadima, who was born on October 10, 1946, retired from the bench of the apex court on Monday on attaining the mandatory retirement age of 70. The retired jurist, who said he spent a total of 47 years in public service, was appointed to the Supreme Court bench on September 16, 2010. In his reaction, the Delta State Governor, Dr. Ifeanyi Okowa, described the alleged harassment and arrest of some judges by operatives of the DSS as portending a great danger to Nigeria’s democracy and the rule of law. 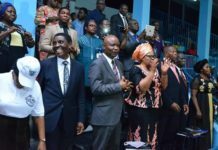 Okowa spoke on Monday during the thanksgiving mass to mark the beginning of the 2016/2017 Legal Year at the Emmanuel the Saviour Catholic Church, Asaba, the state capital, urging the security agents in the country to limit themselves to the confines of the law. 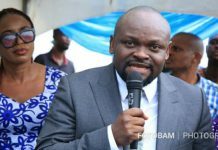 The governor, who was represented by his deputy, Mr. Kingsley Otuaro, called on the authorities involved in the raiding of the judges’ homes to operate within the confines of the law. Okowa, who hailed the state judiciary workers for their continued support for his administration, charged members of the bar and bench to uphold the ideals of the profession so as not to ridicule their calling. The Chief Judge of the state, Justice Marshal Umukoro, assured the public that the state judiciary would continue to discharge its functions without any form of discrimination. In his homily, the Bishop of the Catholic Diocese, Issele-Uku, Most Rev. Michael Elue, charged members of the Bar and Bench to remain fearless and objective while discharging their duties. Also, a former member of the NJC, Justice Ayinla Bamigbola, said the raids of the residences and arrests of seven judges across the country were condemnable. He also stated that anybody found to have failed to follow due process and the rule of law in the arrests of the judges should be seriously sanctioned. In a telephone interview with one of our correspondents in Ilorin, the Kwara State capital, on Monday, Bamigbola said the residences of judges were the extension of their chambers and offices, adding that they must not be intimidated. Bamigbola, who is also a retired Chief Judge of Kwara State, stated that the NJC had taken stern steps against some judges, who were accused of corruption, adding that the judiciary must not be ridiculed or humiliated. “I just want to stay aloof and be watching them. No comment, I am sorry. I just want to be watching from the sidelines like this,” he told one of our correspondents on Monday. A Senior Advocate of Nigeria, Chief Edward Ashiekaa, however condemned the arrests of the judiciary chiefs, describing it as a desecration of the cherished tenets of democracy and an assault on the doctrine of separation of powers. 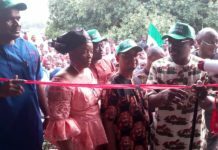 Ashiekaa, who spoke on Monday in Abuja, said the invasion was unprecedented in the history of Nigeria, adding that even during military regimes, the judiciary was never so undermined and intimidated. But a chieftain of the Peoples Democratic Party and a former Minister of State for Education, Mr. Kenneth Gbagi, lauded the DSS for its clampdown on some judges over allegations of corruption. He believed that the invasion of the judges’ homes and their arrests were lawful. Gbagi, who criticised the PDP for condemning the action, stated that corruption had become a national plague which nobody should politicise. “Once we can deal with the judiciary, 40 per cent of our national problems is gone; once we can cleanse the judiciary, Nigeria will be out of the current conundrum,” he said. According to the ex-minister, who spoke to select journalists in Abuja, judges are not above the law. “Criminals have taken over and they are now running the state. And if you and I are not careful, it will soon become a kangaroo nation, where the voices of criminals are the loudest,” he added. Also, a former Governor of Kogi State, Capt. Idris Wada, on Monday, said he had been vindicated. He, however, said it would be wrong to use the same brush to tar all the members of the nation’s bench, emphasising that his condemnation of some judges was not a blanket judgment on the judiciary, which he said paraded the best brains in the country. 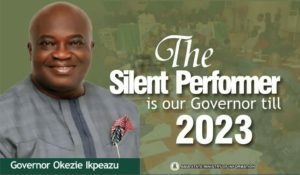 According to him, money played a major role in deciding the outcome the 2015 governorship election in Kogi State, adding that the action of the DSS was a vindication of his earlier position. Wada, in a statement by his Chief Communications Manager, Phrank Shaibu, obtained by The PUNCH in Abuja, declared that the episode reminded Nigerians of his earlier call on Buhari to initiate a probe into the conduct of the affairs of the judiciary. “From what we have seen in recent times, it would appear that the greatest obstacle to the Buhari administration is the corruption in the judiciary,’’ he said. In his reaction, however, Muhammed Gani-Fawehinmi, the son of the late human rights lawyer, Chief Gani Fawehinmi, expressed his support for the raids on the houses and arrests of the judges. 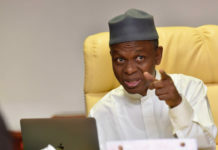 In a statement on Monday, he said, “I must say unequivocally that I am in full support of the current raids on judges in Nigeria.